The four motor axes are addressed synchronously, start simultaneously and reach the target position at the same time. Commands are given to the controller over a USB or TCP/IP interface, the encoder bandwidth is 50 MHz. The C-884 has a dual-core architecture with a command interpreter, which runs on an ARM processor core under a Linux operating system, separately from the digital signal processor (DSP). 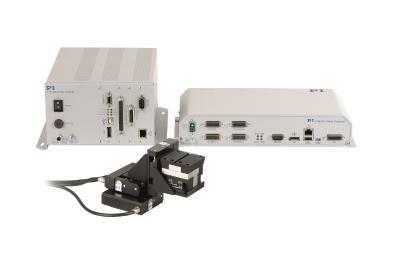 This simplifies the programming of positioning systems in automation environments which follow a special industry or laboratory standard or a manufacturer-specific device standard. 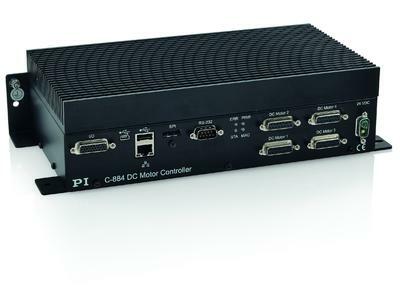 The four axis motion controller comes with additional functions and an extensive software package: Nested stacking commands can be executed with the macro function following a command or external trigger, even without connection to the host PC. A data recorder records operating data such as motor voltage, velocity, position or position errors, which can then be displayed on the graphical user interface of PIMikroMove. The user software PIMikroMove facilitates faster start-up as well as clearer and easier operation of controller and positioning system: It is possible, for example, to record a settling process with the data recorder and to display it on PIMikroMove. The user can then modify the PID servo-control parameters until an optimum settling behavior is achieved. 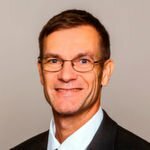 Software support for LabVIEW and shared libraries for Windows and Linux are also included in the scope of delivery of C-884. 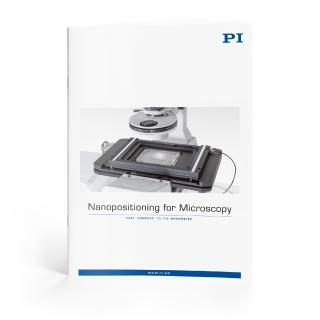 Well-known for the high quality of its products, PI (Physik Instrumente) has been one of the leading players in the global market for precision positioning technology for many years. 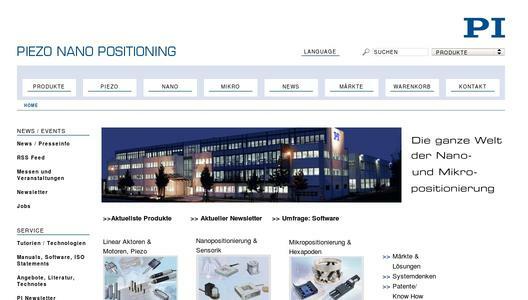 PI has been developing and manufacturing standard and OEM products with piezo or motor drives for 40 years now. 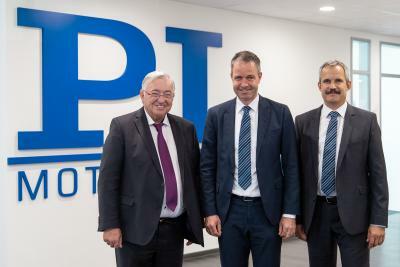 With four company sites in Germany and ten subsidiaries and sales offices abroad, the PI group is represented internationally.